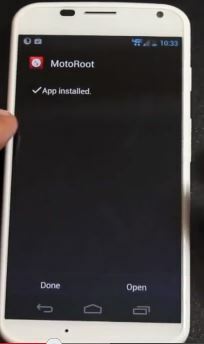 After the release of best phones from Google and its shadow company Motorola, the other update we are trying to provide is its rooting process. This two phones has the capability to be used beyond its performance and specs with a rooting process. 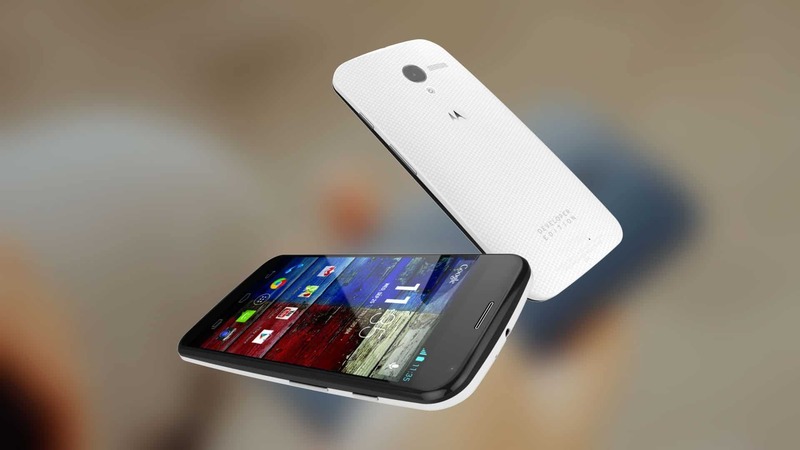 Rooting is always necessary to unveil the capabilities of your phone beyond its limitations. Dan Rosenberg, a security researcher urged his intentions to stop publishing exploits for Motorola Devices, justin has come into rescue with his own rooting process, which will be published now. 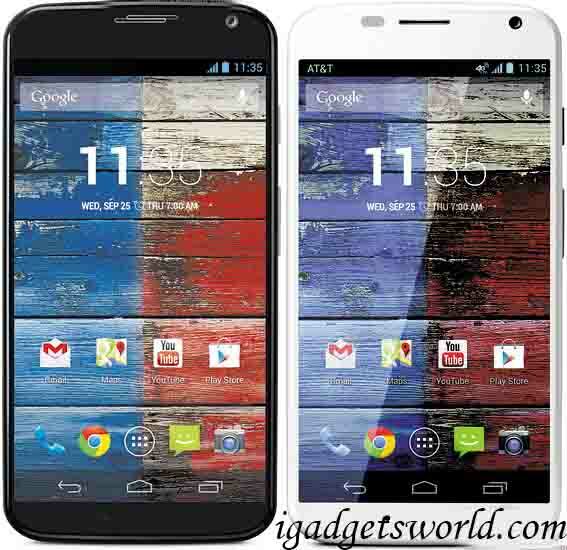 The rooting of Moto Devices, is very easy with its Easy-to-root apps that are available online. Links will be provides here. 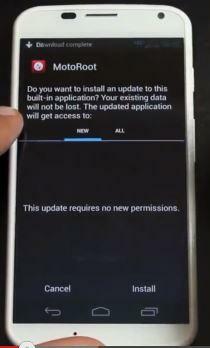 I’m sure most of you are here to get your phone rooted, so let’s go straight to the instructions. I will follow with a more in-depth explanation about how it works. After downloading the two apps into your phone, just follow the process and screenshots to start rooting process. Please follow the steps carefully, or your phone might get bricked, or you might face some problem! Step -1: Go to setting and check the unknown sources in the security menu. step 2: Download the the app MotoRoot1.1.APK into your smartphone and install it as per the below screenshot. step5: Click Decline in the second screenshot to complete the installation process and click done and allow the smartphone to restart. 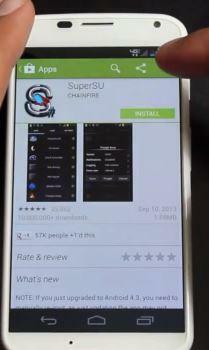 After completing the installation of SuperSu, check the root complete process using any of the root checker app available on google’s Play Store. In case of any queries, post your comment below. 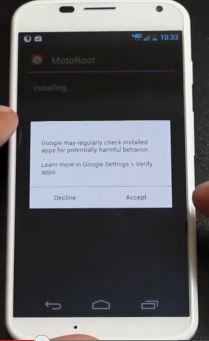 Disclaimer: USE THIS PROCESS FOR ONLY MOTO X DEVICES AND WE ARE NOT RESPONSIBLE FOR ANY HARM TO YOUR DEVICE.